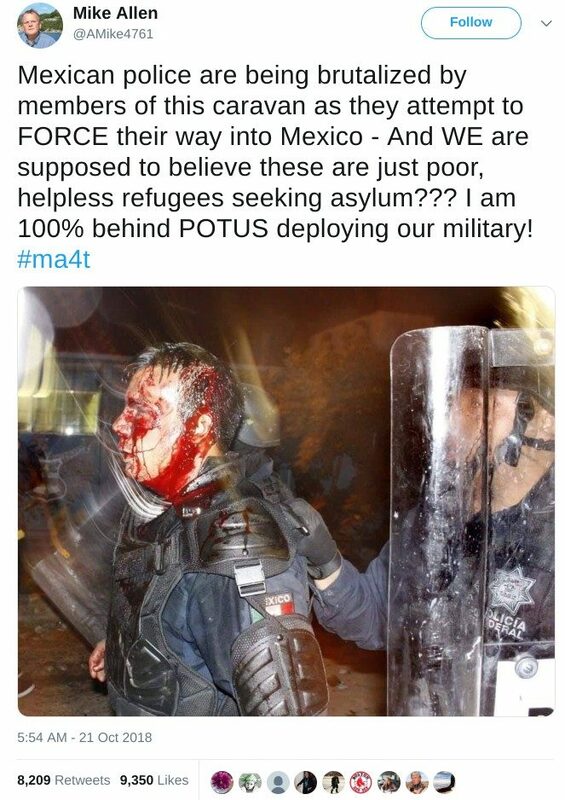 FACT CHECK: Were These Mexican Police Officers Brutalized by Members of a Migrant Caravan? 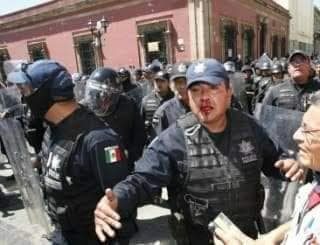 Were These Mexican Police Officers Brutalized by Members of a Migrant Caravan? A series of photographs showing injured police officers are genuine, but they are several years old and have nothing to do with immigrants or caravans. 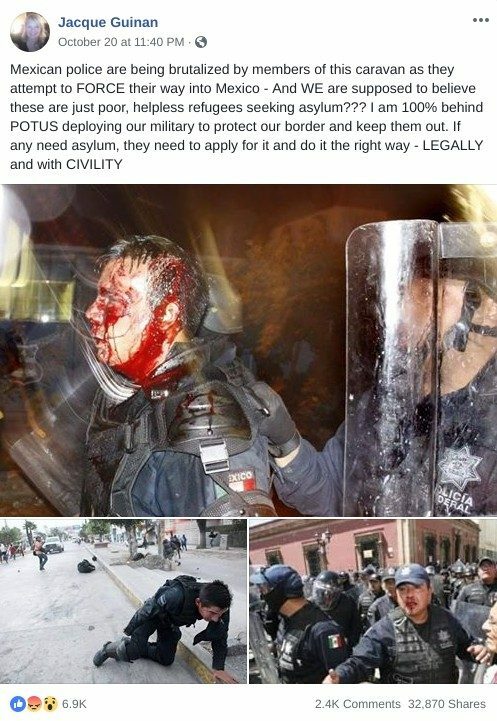 Photographs show police officers who were brutalized by members of a migrant caravan in October 2018. The above-displayed photographs appear to be yet another attempt to smear this group of refugees and stoke fears over immigration. 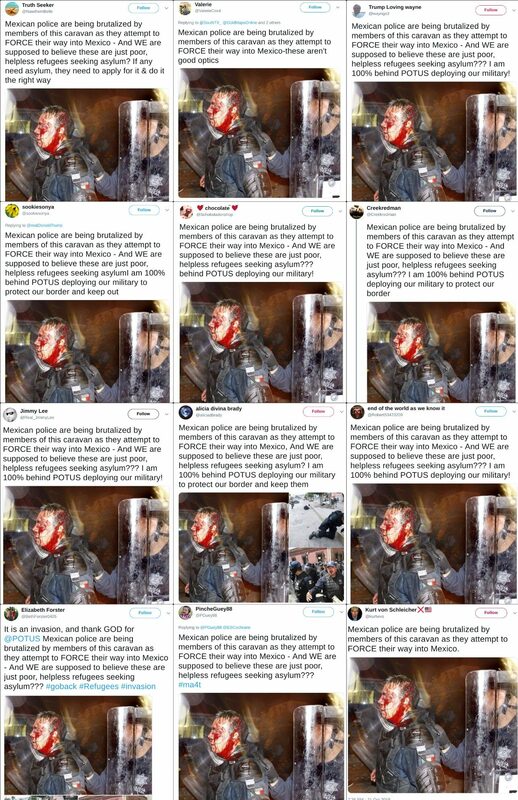 These pictures do not capture police officers who were brutalized by members of the immigrant caravan making its way toward the United States in October 2018 — they’re all several years old and depict the aftermath of altercations between police officers and protesters in Mexico. Mexico City, October 16 (2012). In a series of operations carried out early Monday morning, state and federal authorities detained 176 students from the teacher training schools of Cheran, Arteaga, and Tripetio in Michoacan. A spokesman for the state government, Julio Cesar Hernandez, told a news conference that nine federal police officers and one member of the Special Operations Group (GOE) were injured during the operations. The two groups accused each other of starting Sunday’s violence. 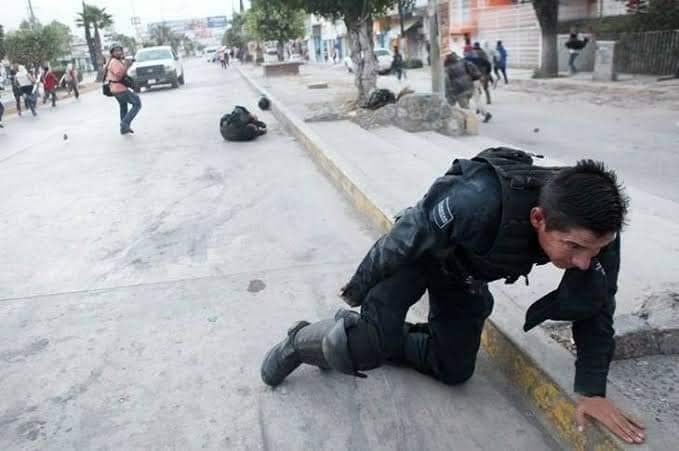 State Governor Gabino Cué Monteagudo offered a public apology to the people of Oaxaca for the grievances caused by “police and teachers” during their clash in the city’s Zócalo and reiterated their willingness to engage in a new dialogue with Section 22 of the SNTE. Through a statement, the state government refused to grant the resignations of the Secretary General of Government, Irma Piñeyro Arias; the head of the Secretariat of Public Security, Marco Tulio López Escamilla, and the director of the State Institute of Public Education of Oaxaca (IEEPO), Bernardo Vásquez Colmenares, as demanded by the teachers after the drift and during the mega-march made yesterday in the city From Oaxaca. ABC News. 22 October 2018. The Guardian. 19 October 2018. The New York Times. 22 October 2018.